Scary Ink! 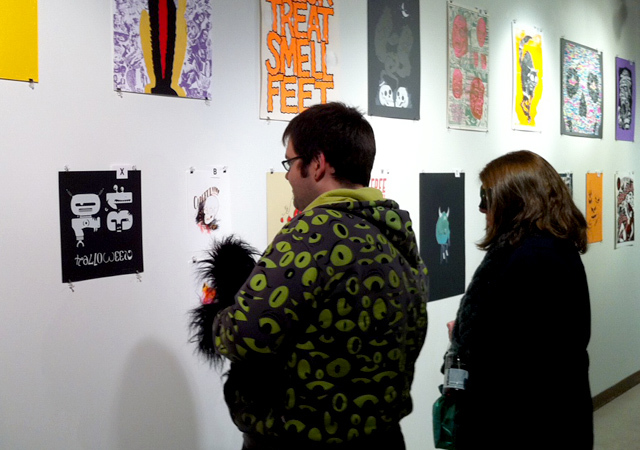 Poster Show - BrainstormOverload - Small design studio. Big ideas. 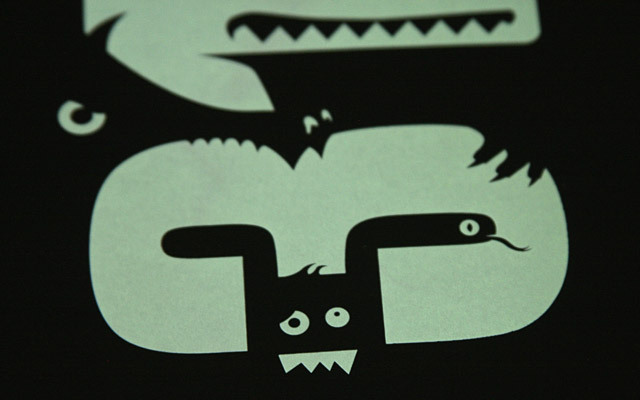 For Big Table Studio’s first open show we printed our first glow-in-the-dark screen print. 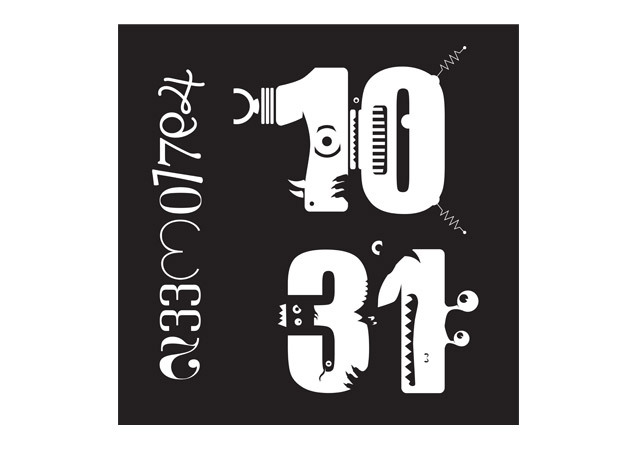 It’s entitled “10-31″ and there are seven monsters and aliens created from number forms. The word Halloween is also created using numbers. Prints are still available. 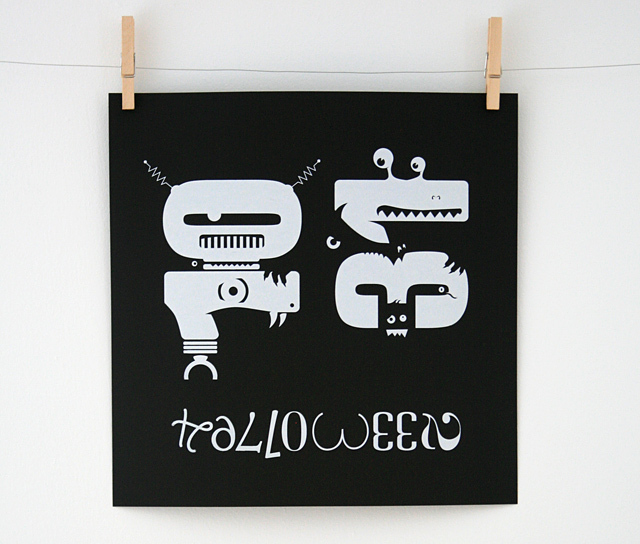 At 13×13 inches it’s a small poster printed in a small limited edition on super black Skin 100 lb. cover from Curious Papers. Here it is with the monsters and aliens emitting a soft, reassuring glow. It was a fun collection of prints and attended by some interesting characters in costume.